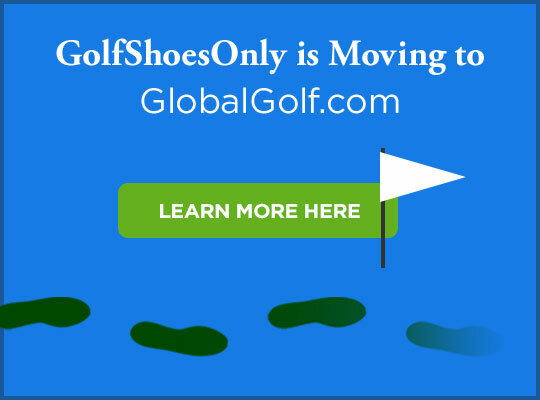 GolfShoesOnly is excited to announce that at the end of February, we are moving to GlobalGolf.com, the largest source for golf equipment online. Thank you so much for your business and support over the years. Since we launched in 2006, we have loved serving you and hope we have been able to provide excellent service and value to you to meet your shopping needs. GlobalGolf's unique U-try golf club trial program. An outstanding shopping experience with more user reviews. More content and tools to help with shoe and apparel fitting. An expanded product selection to meet all your golf needs beyond shoes and apparel. While the site will be moving at the end of February, you will still be able to access and use administrative and account pages. For customers with existing orders, those will continue to be fulfilled normally. You can view the status of your order by visiting the Track Orders page. For customers who need to return an item, you can visit our Return Center or Contact Customer Service for assistance. To access your account, you can sign in. If we can provide any other assitance, please feel free to Contact Customer Service.